There is clear evidence that the implementation of gender equality policies and practices could benefit companies; however if they are not applied, they could have a negative impact on the reputation as well as on Companies’ ability to attract talents, customers and prospective clients. Together with Francesca Lauro, counsel of the global law firm Hogan Lovells Studio Legale and Barbara De Micheli, head of the Post Graduate Diploma in Gender Equality and Diversity Management of the Giacomo Brodolini Foundation, we will identify best practices starting from the regulatory landscape. We will also address the existing linkage between inclusion and innovation, and the advantages of investing in Diversity, Inclusion & Innovation. We will welcome you with a networking aperitif to discover our new Members and Partners. The event is open to both Members and non-members. All professional women and men are welcome. Feel free to bring friends and colleagues! Registration through the PWN Rome online Platform is mandatory for all participants, Members and Guests. Do not forget to register! 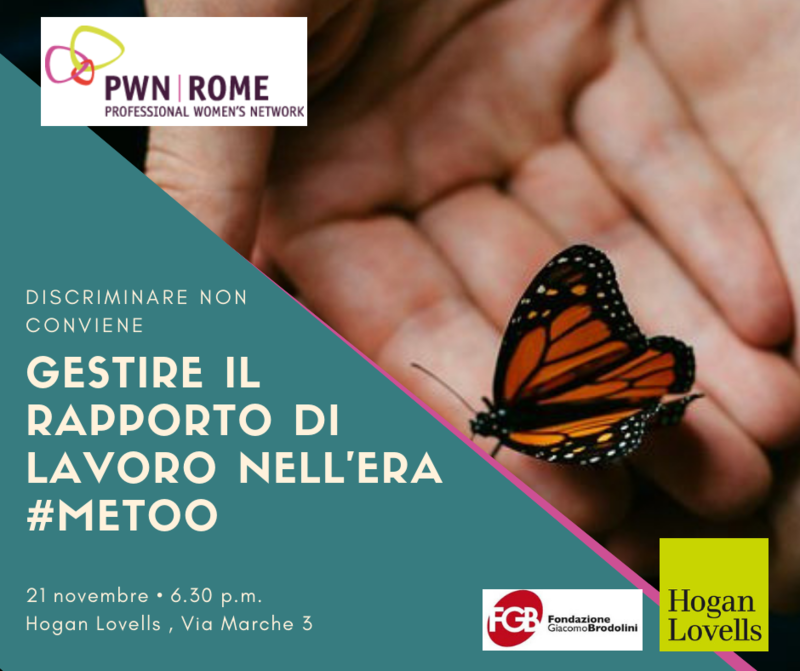 * If after the registration you will be unable to attend, send an email to events@pwnrome.net the fee paid will be counted for the next events.